10 Years ago, while studying at the University of Victoria, I developed Zest: the Visualization Toolkit for Eclipse. The goal of the project was to define APIs and Eclipse based implementations for a visualization library. 10 Years ago I attended my first EclipseCon. Back then I didn’t know Doug Schaefer, nor did I know about the EclipseCon late night… now it appears Doug and I are responsible for locking up. 10 years ago I had hair. 10 years ago I became an Eclipse committer. While a lot has changed in 10 years, some things remain constant. The Toronto Maple Leafs still haven’t won a playoff round, YouTube still appears to be popular and Eclipse is still shipping quality software on-time and on-budget. This year is no different. In 10 (working) days, on June 24th 2015, Eclipse Mars will ship! As I’ve done since 2007, to help celebrate the Eclipse release, I’m counting down the Top 10 Eclipse Features that I’m most excited about. While 10 years is a long time, some Eclipse feature requests last longer than that. In fact, since before I was a committer, since before I went to my first EclipseCon, and since before YouTube had its first video, the Eclipse community has been requesting a proper Mac Application for Eclipse. This year Eclipse finally delivered, shipping the MacOS version as a proper Mac application. 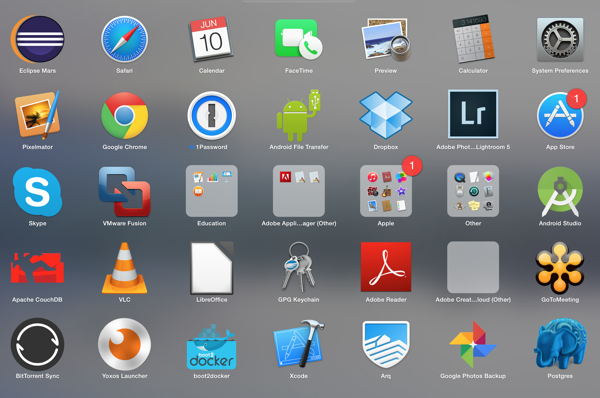 This means that Eclipse can be unzipped and dragged directly in your Application folder. With this change, installing Eclipse becomes much easier on Mac, and features like “open with” now work as expected. Pascal started the heavy lifting for this a few years ago, but the Eclipse Foundation helped push this work to make it a reality. Also, a big thank to David Williams and Pascal for getting the releng work in order. 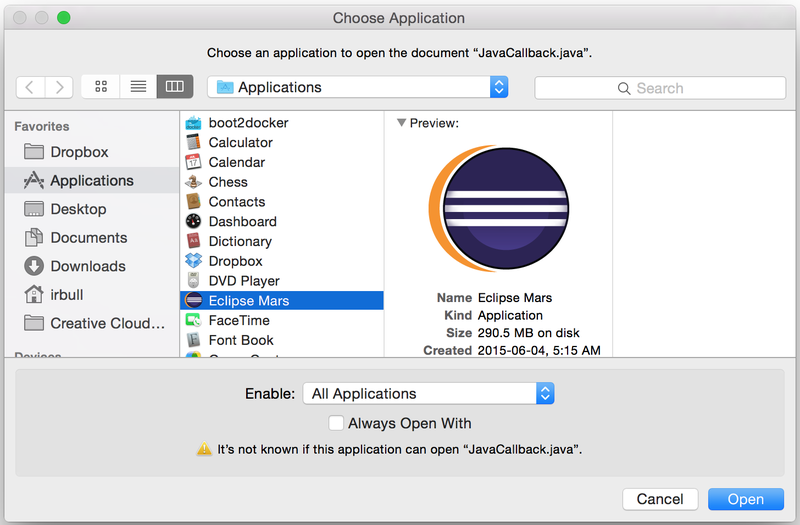 Eclipse is finally shipping proper Mac Applications! For more Eclipse Tips & Tricks, follow me on Twitter. Ian is an Eclipse committer and EclipseSource Distinguished Engineer with a passion for developer producitivy. He leads the J2V8 project and has served on serveral Eclipse technical committies. Ian holds a Bachelor and Master's degree from the University of Waterloo and a PhD from the University of Victoria.